As a young child my parents owned several Disney films and other cartoon movies on VHS with those giant foamy cases. The first time I was introduced to Robin Williams, I didn’t even know it. I can’t remember much from that time, but my mother tells me that I didn’t want much, until I wanted every single Disney action figure after purchasing a set of them. I loved movies as a young kid, I REALLY loved “Aladdin” like many kids and adults alike. That was back when you didn’t really pay attention to who the voice actors were, or the politics of how the film was made or how it campaigned for awards. You just got lost in it. I was born in 1992, the year that “Aladdin” came out. So as a young kid I got to enjoy the family-comedy portion of the Robin Williams’ career to the fullest extent. I LOVED “Jumanji,” “Flubber,” “Patch Adams” and remember being head over heels for “Bicentennial Man” when I was 7 years old in 1999. It goes without saying that I’ve never met Robin Williams personally, I’ve heard that he was a nice guy, but I’ve never met him. 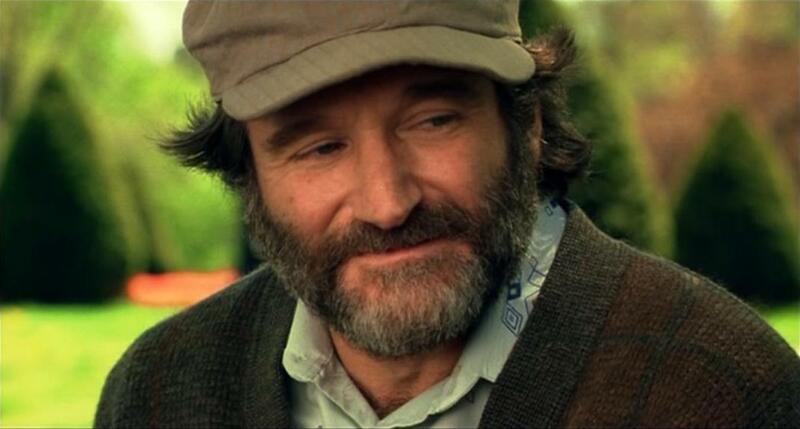 What really adds insult to injury though is that Robin Williams took his own life. An actor, a comedian, that had made just about everyone laugh at least once fell victim to the darkest of circumstances. Comedian or not, in the end you have to realize that we are all humans. The deepest/darkest thoughts that you have, have been had by every other human being. It doesn’t matter if that person constantly seems happy or zany, depression can happen to anyone. We are all vulnerable to the human condition, existing not by choice, clueless to our purpose or place in the universe, wondering if our life will matter at all when time and space end. With what we got, we are all trying our best. We co-exist to help each other through our hardships and through illnesses such as addiction and depression. As a teenager I was wild, energetic, and always had a smile on my face., but behind closed doors I was depressed. I had suicide thoughts on a daily basis, till it got to the point that I finally told my mother. The conversation wasn’t heartfelt, in fact it was just awkward, but it helped. Eventually I had a few more awkward discussions about it with both my parents and, in hindsight, it made all the difference. Robin Williams passed away from an illness. You can’t ever put into words how tragic it is to lose someone who touched so many lives. Depression is something that can grab ahold of anyone, even the most seemingly happy or funny people. So no matter how they seem on the outside, be there for your friends and colleagues and always let them know that you are there for them. And if you are having suicidal thoughts, you should open up about it to someone, it can make all the difference. You can also contact the National Suicide Hotline at 800-273-8255. You have options, and there are people out there whose lives have been changed for the better because of your existence. So many great films, so many great memories. You have left behind one hell of a legacy and you will be severely missed. I am very thankful for the films you helped create, that impacted my childhood and adulthood. They have helped shape the person I am today, and are still helping shape the person I will become in the future. Thank you Mr. Williams.